A digital campaign that inspires. Adobe Sign is Adobe’s electronic signature solution. It helps speed up business transactions, is a legal, reliable source of signature, and even audits every digital step taken. It’s easy to use and integrates seamlessly with a variety of online tools. Adobe Sign was looking to create momentum surrounding their new campaign, “A better way to sign.” They wanted to create buzz on social media while gaining the interest of the media and trade publications. 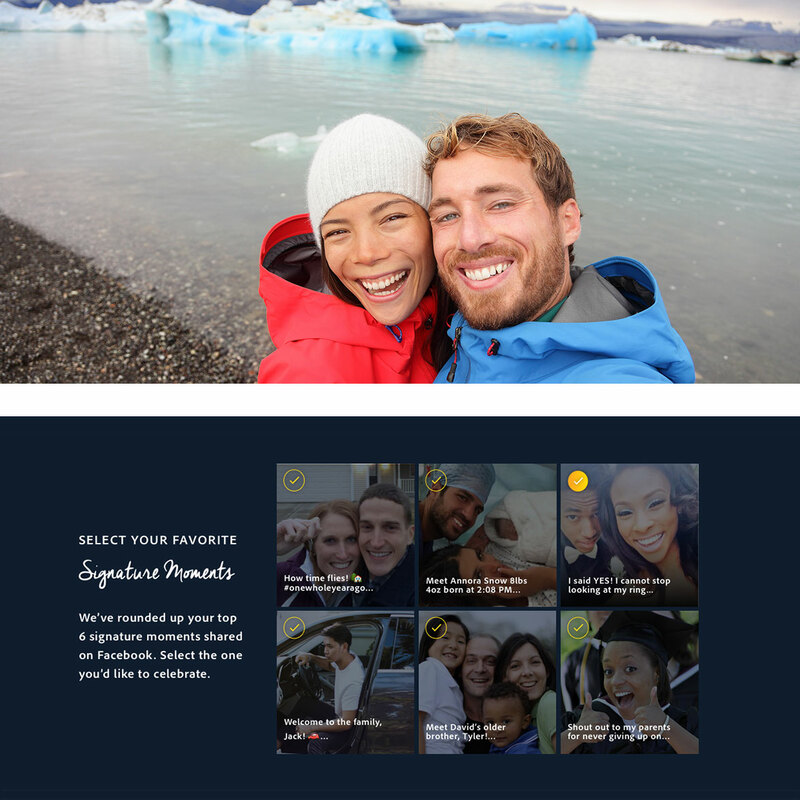 They asked us to create a promotional microsite to bring the new “Signature Moments” campaign to life. 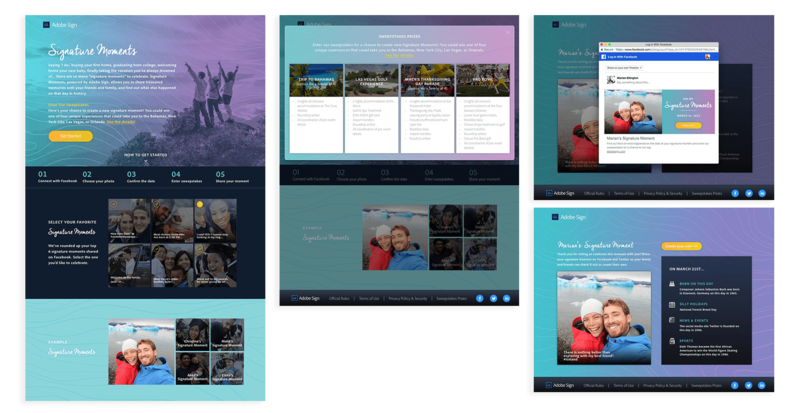 Our team came up with a fun and engaging way to introduce Adobe’s platform to consumers. 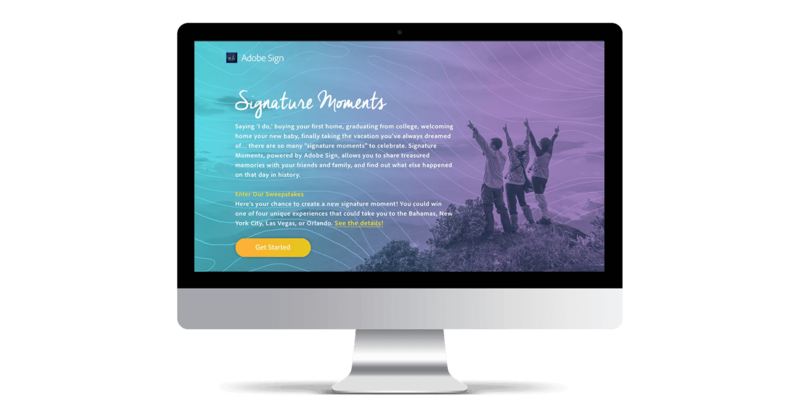 By signing in with Facebook, users select one of 6 momentous photos that the website automatically pulls from their feed, confirms the date of their chosen “signature moment” and the site creates a shareable image along with 4 events/facts that occurred that day. This was a very involved project from conception, naming, data collection (we built an online tool to aggregate facts for each day of the year), design, to development.